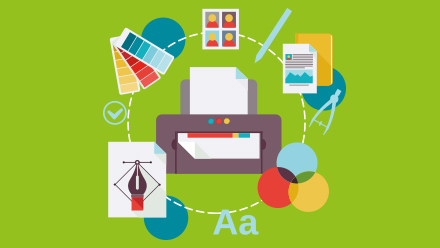 Whether you are a business or a creative agency, finding a reliable print partner that offers a high quality service can be invaluable to your business. As a leading commercial printer we offer lithographic printing and digital printing. We have a Heidelberg Speedmaster XL75 B2 colour litho printing press and a Kodak Nexpress SE2500 digital printing press. We print all kinds of work, including stationery, leaflets, brochures, folders, catalogues and large format printing such as banner stands and pop up display systems. We work very closely with our clients, including leading creative agencies, as well as directly with other printers, and a variety of different businesses. We use Kodak InSite to improve the workflow and reduce the costs involved in handling and preparing artwork for print. We pass these cost savings on to our customers on every job we print. The Kodak InSite system allows you to control the approval process throughout the proofing of your project. It puts you right in the driving seat when it comes to reviewing, amending and approving your project. It’s simple to use and we can guide you through the process. You can access InSite 24/7 from any web browser, giving you the flexibility to check, amend and approve proof stages from anywhere. The whole process is tracked online so that a complete history of comments, amendments and contributors is held within the project for you to review as and when required. This print technology means that clients can login online and place their artwork directly into the workflow. Clients receive a PDF proof for sign off and then, once approved, the job moves into the automated workflow. E-mail prompts inform you and other nominated approvers that a new proof is ready to review and when you approve your project we are immediately notified, saving you time and allowing your work to go into production quicker too. The system works with print ready PDF files right from your initial upload right through all the review and approval stages, which means we only print from exactly that same file that you have signed-off on screen. The importance of accreditation is recognised by Lemon Press as it shows a commitment to the high standards we already set ourselves. Achieving these accreditation standards ensures all of our customers can have confidence when placing their digital printing or litho printing work with us. As a business, Lemon Press concentrates on three key areas; Environment, Colour and Quality. As a litho printing and digital printing company we know that by getting this right we will keep our customers satisfied and build longstanding and profitable relationships. At Lemon Press we have BSI EN ISO 9001 and ISO 14001 Accreditation and are active members of the BPIF. We trade with honesty and integrity, enjoy our industry, and value every order we are trusted with. Whatever your print requirements, the Lemon Press can promise the same high levels of attention and professional care for every job placed with us.